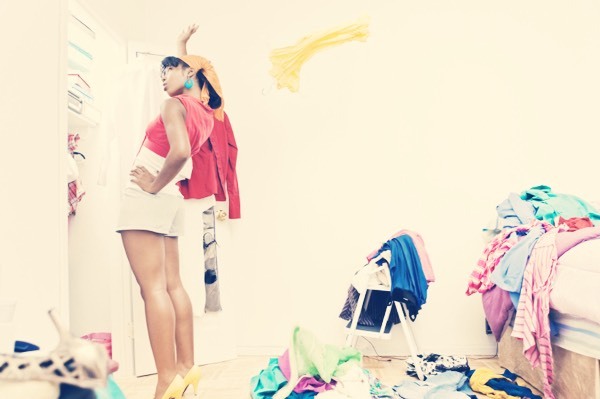 Here are a couple closet hacks that work wonders for spring cleaning! 1. Turn all your hangers around, and once you wear an outfit then turn that hanging the normal way! It narrows down your options of what to get rid of by the end of summer. Clothing donations are defiantly a great thing!! Also I have taken my clothes to a Consignment Shop! If you are thinking about taking them to a Consignment shop, make sure your clothes are washed and stain free! I know, it sounds weird.. But they will give the clothes back to you if they are snags, small rips, stains, and "out of style!" If you have your kids pick out what they want to wear for school the next morning is TEN times easier than having them run around the house with little or no clothes on-15 minutes before the bus comes, and refusing the clothes that you picked out for them. Mom's, you know how this goes..
Also, this is great for getting ready to go to work!